President of the Republic of Azerbaijan Ilham Aliyev has received a delegation led by the newly appointed EU Special Representative for the South Caucasus and the crisis in Georgia Toivo Klaar. 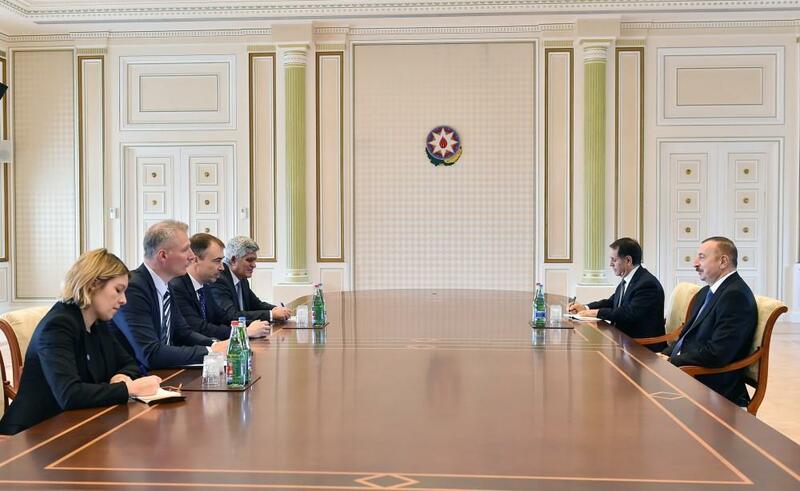 Saying this is his first visit to Baku and that he is deeply impressed with development processes he witnessed here, Toivo Klaar stressed his interest in familiarizing himself with Azerbaijan, Azertac reported. The head of state said he is hopeful that Toivo Klaar will frequently visit Azerbaijan, including regions of the country. President Ilham Aliyev wished Toivo Klaar success in his activities. They exchanged views over the current state of the Armenia-Azerbaijan Nagorno-Karabakh conflict and negotiations on the dispute.